This month we’ve spoken to Alex Forth, General Manager of our Singapore division, about project management. Here he explains how Special Piping Materials’ teams work together to ensure the best results every time. Efficient project management is a core aspect of the premium service that we provide to clients on a daily basis. The team’s dedication, experience and know-how sets the company apart and ensures that we are recognised for our proficiency in this area. At Special Piping Materials we are experts in managing projects in entirety, from the initial enquiry and tendering stage, right through to the final delivery of materials. In order to do this effectively we have a bespoke service that treats every project differently, depending on its specific requirements. This approach applies to every project we handle – from the smallest assignment comprising a few single items, to the largest and most complex multi-item package involving various destructive and non-destructive testing, and approved vendor list requirements. No matter what the specifications, our project management system means that we can source the items, obtain the necessary testing and paperwork, package the materials, organise the logistics and get them delivered on time. As part of this, our senior project managers co-ordinate comprehensive market consultations, detailed technical guidance, diligent quality management, careful supply chain management and thorough documentation control. Due to our teams’ impressive experience in areas like logistics, testing, quality assurances, and expediting, we know that we can handle any challenge that arises and find speedy solutions. To support this, we have robust internal procedures on how to process the different stages of project work that apply to every contract we take on. We take advantage of the global resources and in-depth industry expertise of our worldwide network, while ensuring that the work we do is consistent across all Special Piping Materials offices as every branch has a dedicated project team with excellent local business knowledge. An essential part of this is the importance we place on communications – both within the different areas of our business and with our clients. 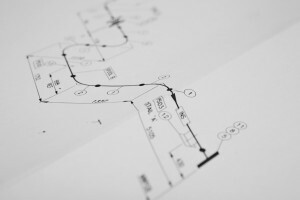 We keep the lines of communication flowing at all times (much like our pipes) to ensure that our customers are regularly updated on planning, time scales, procuring, testing and delivery. All this work goes on to take the worry away from our clients – we go the extra mile to ensure that they don’t have to. Make sure you speak to our dedicated project management teams in the regional office closest to you to find out what we can do for you.